← FArf: A Computer Read Out Spock! 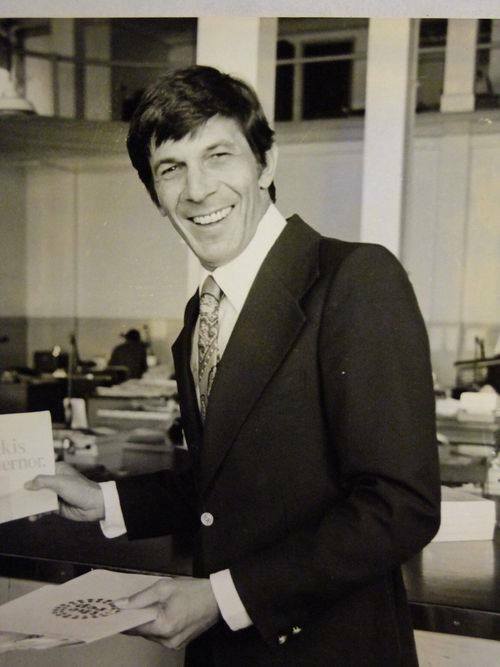 This entry was posted in Leonard Nimoy, My Weekly Spock and tagged Dukakis, Leonard Nimoy. Bookmark the permalink. WOW he’s hot! Thanks for posting the pic! “kis” and “ernor” and Election Day. Dukakis for Governor? Definitely — that’s why I wanted to post it for Election Day, but I couldn’t remember which file I had it in!